Barbara Pachter's Blog: Pachter's Pointers: Public-Speaking Challenge: Someone Is Sleeping During Your Talk! 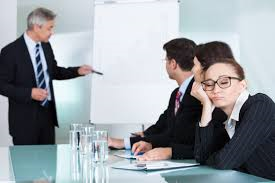 Public-Speaking Challenge: Someone Is Sleeping During Your Talk! Pachter & Associates provides training and coaching on presentation skills, assertive communication and business etiquette. For additional information, please contact Joyce Hoff at 856.751.6141 or joyce@pachter.com. Click here for getting the easiest way to hack top eleven. I really happy to see this great post and your opinions. You know, one of the best performances that I have ever seen in my life was at this conference https://www.intistele.com/blog/seo-conference/. You can also visit it next year and learn there a lot of new information for yourself. Thanks for posting!